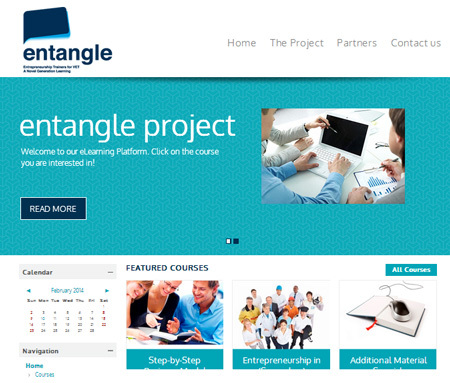 ENTANGLE finds its origin in day-to-day practical experience with and within VET institutes. Additional national and international research showed that the challenges identified on entrepreneurship in VET institutes are widespread and common. Current programs do not contain adequate and sufficient knowledge on the functioning of the market economy, nor stimulate creativity, autonomy and entrepreneurship students. For the European Union is a priority to encourage a change in this situation. The ENTANGLE project addresses entrepreneurship in (Secondary) Vocational Education institutes. The project has an innovative practical approach to stimulating entrepreneurship among students in VET institutions by providing their teachers with the tools and materials to educate, inspire and motivate their students for them to be able to pursue a career as an entrepreneur. VET students who finish their studies are usually expected to continue their education elsewhere or start a job. Some former students however start up their own firm. Most teachers are unaware of this next step a student takes after graduation. Relations between teachers and world of work should be improved. The ENTANGLE project has a new approach to entrepreneurship teaching in VET institutes (VETs). It adopts a full scale method with supporting materials and tools, a direct and practical approach not yet applied in most VETs. The ultimate goal, to have more VET students starting their own enterprise, will be reached by directly and indirectly improving the quality of: lessons, learning material, advice, guidance and VET-small entrepreneur/former VET student relations.